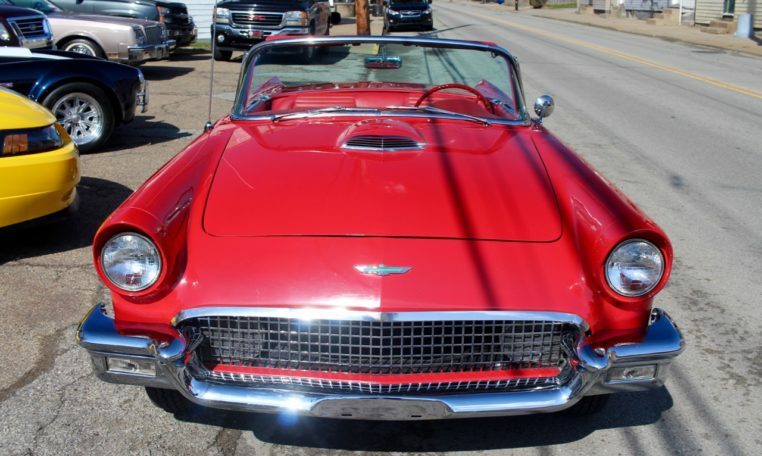 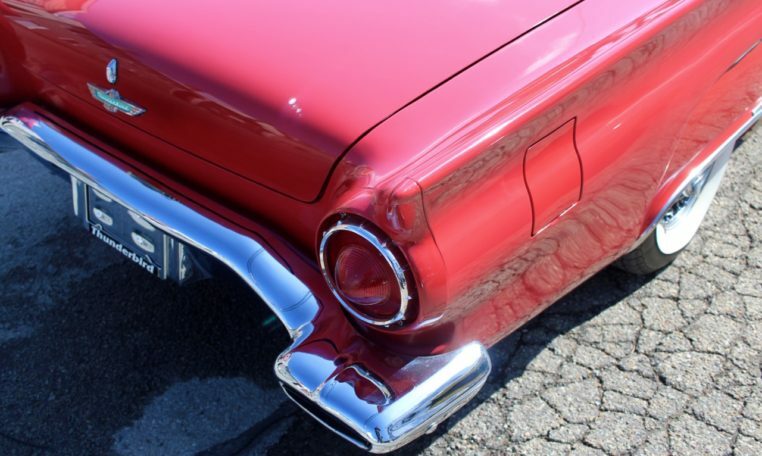 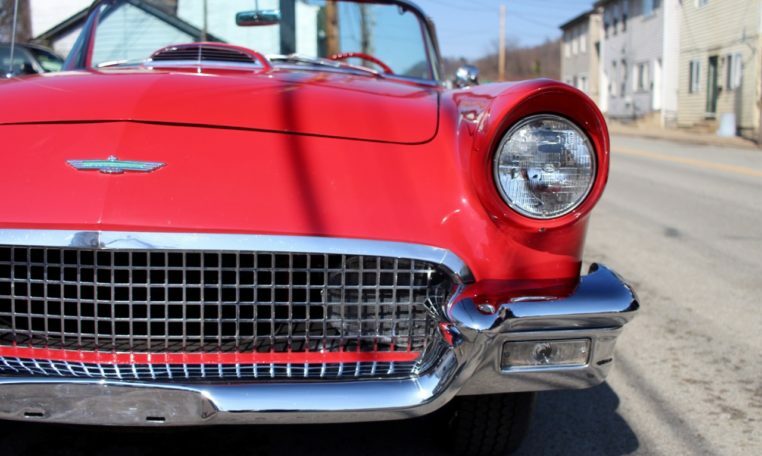 This 1957 Ford Thunderbird is a running and driving.. 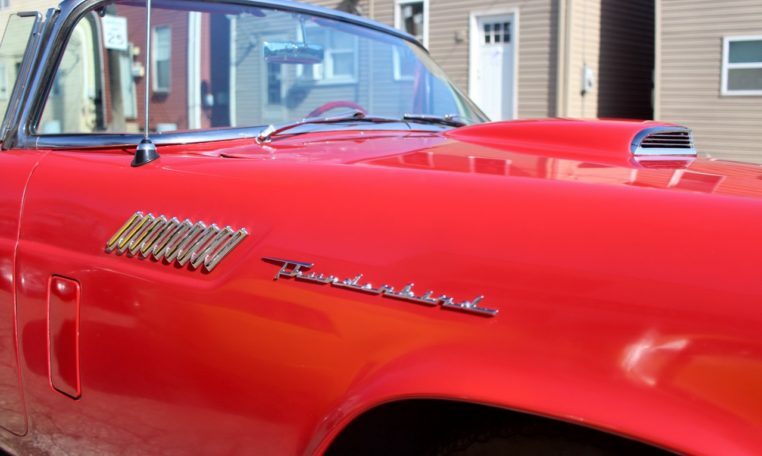 The known history of this car was it put into storage in the mid to late 70’s by the original owner, and then bought by someone who stored it in a barn for another decade in the 90’s. 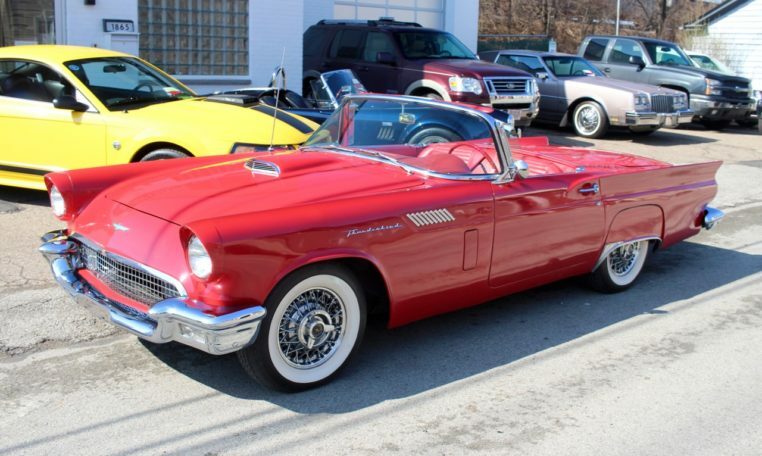 The current owner’s Uncle bought it in 2003 and began the restoration. 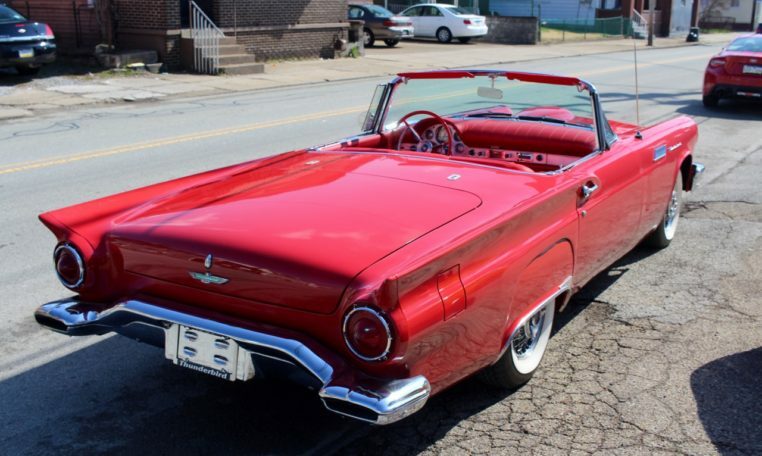 He finished the restoration in 2008 and sold it to his nephew, the current owner, in 2013. 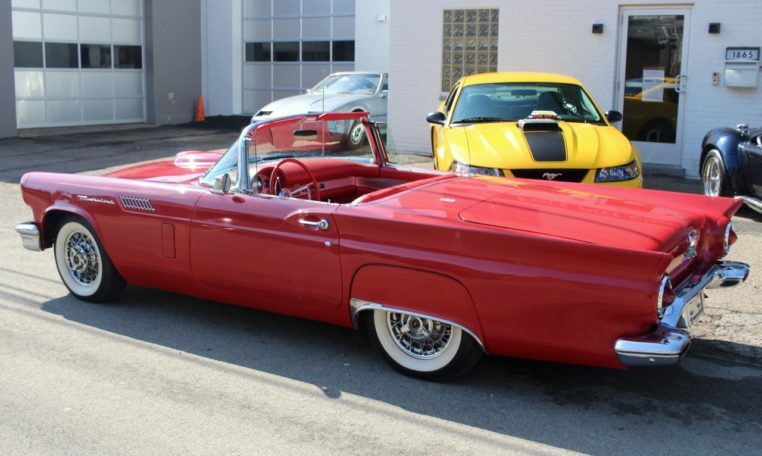 Since then it’s been stored indoors and rarely driven. 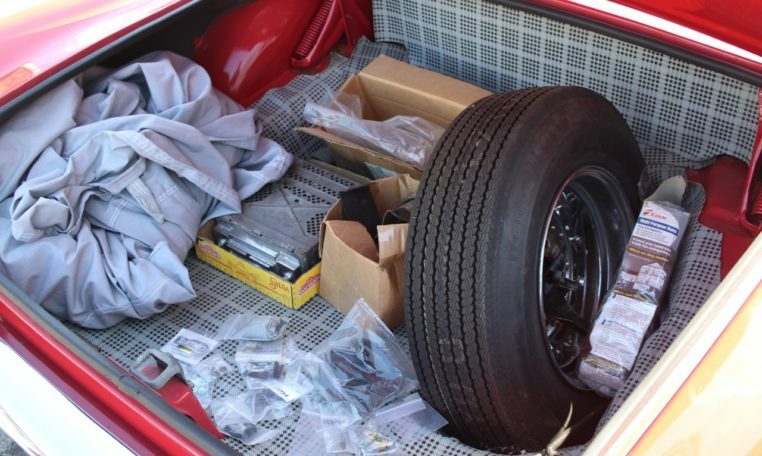 Included with the sale is a photo album of the restoration and stacks of receipts for parts ordered for the car. 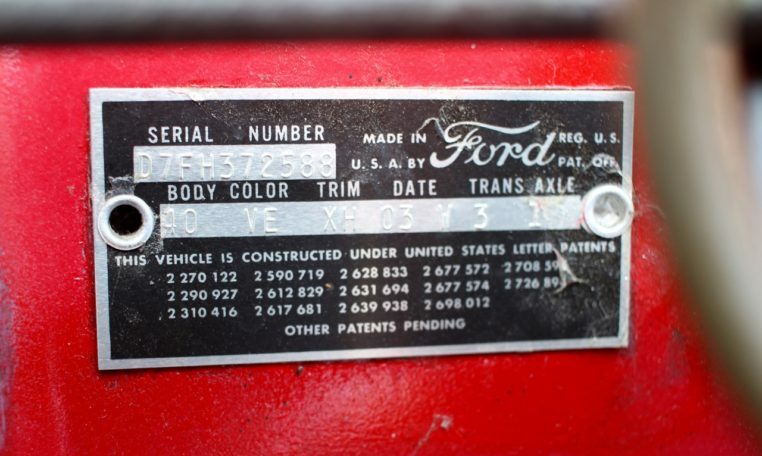 There’s even a tire receipt going back to the first owner in Illinois. 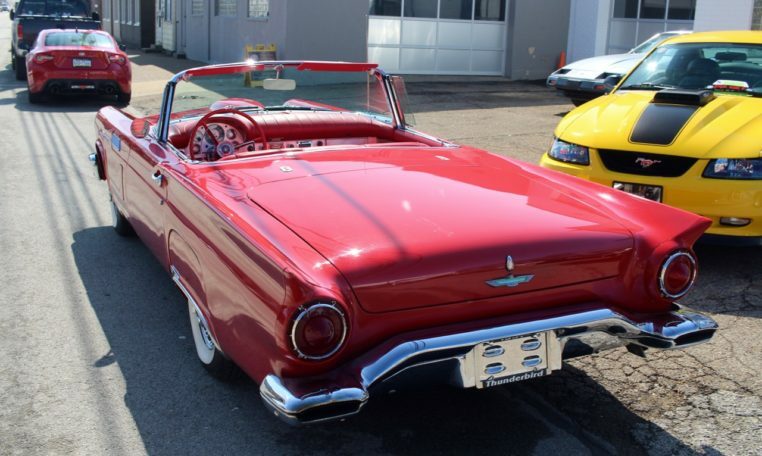 The exterior looks to be in good fairly good condition. 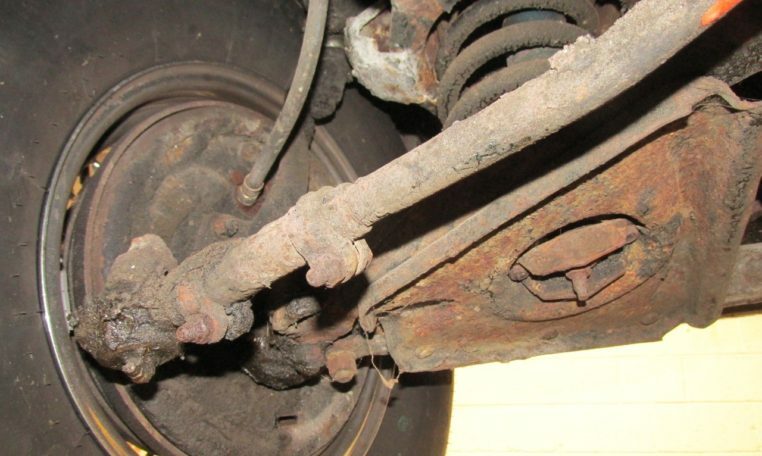 It does not have any rust or serious cosmetic issues on the outside of the body (just the underbody). 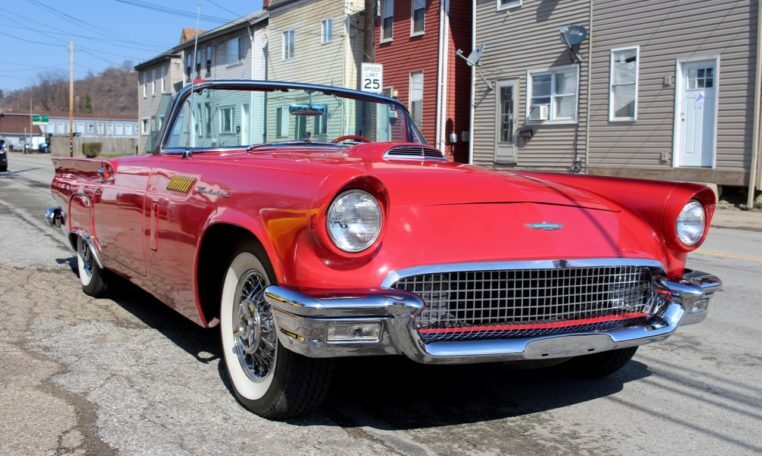 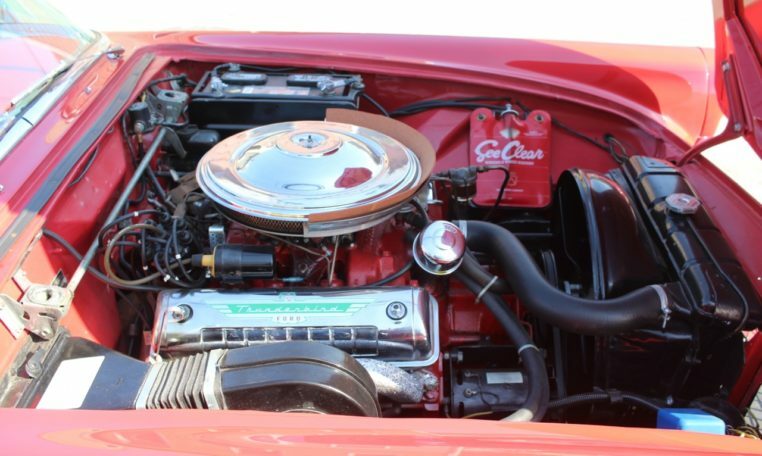 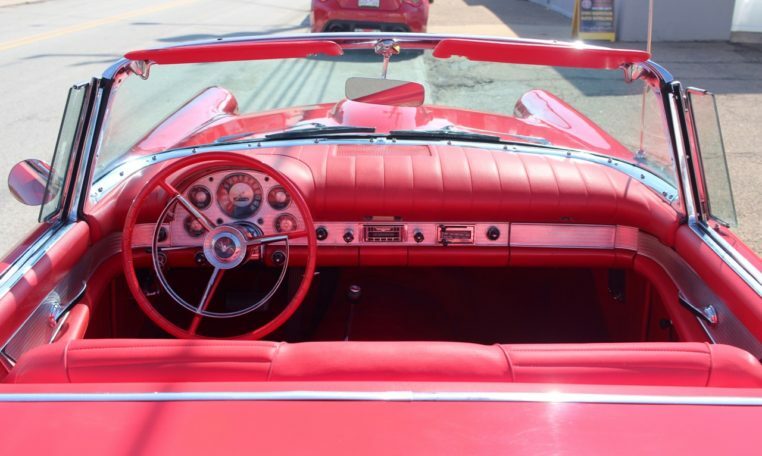 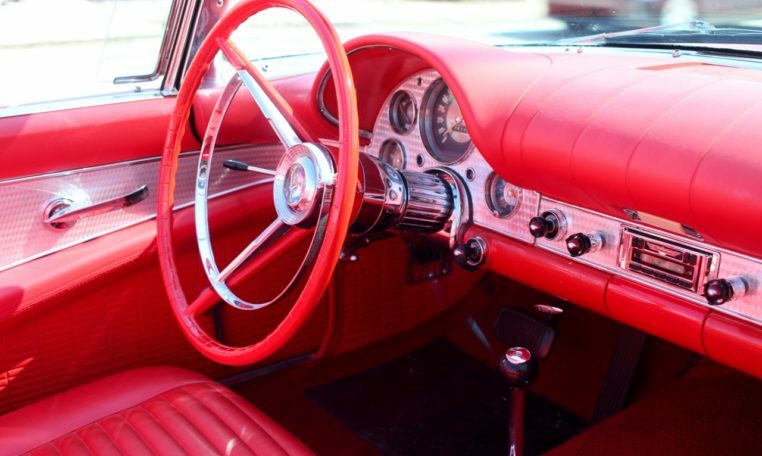 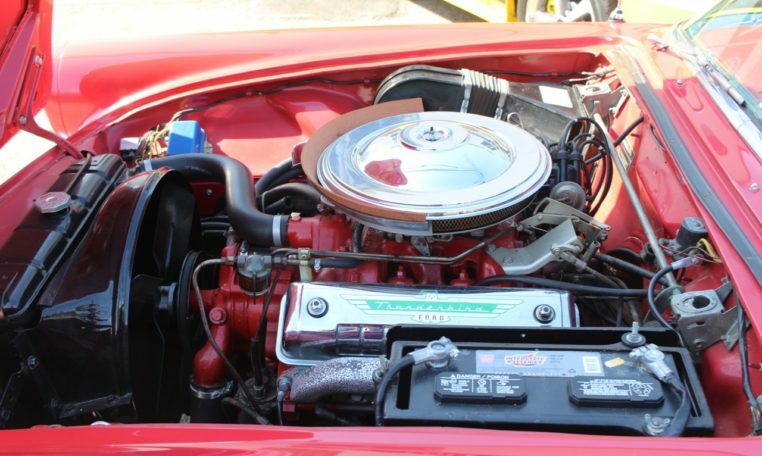 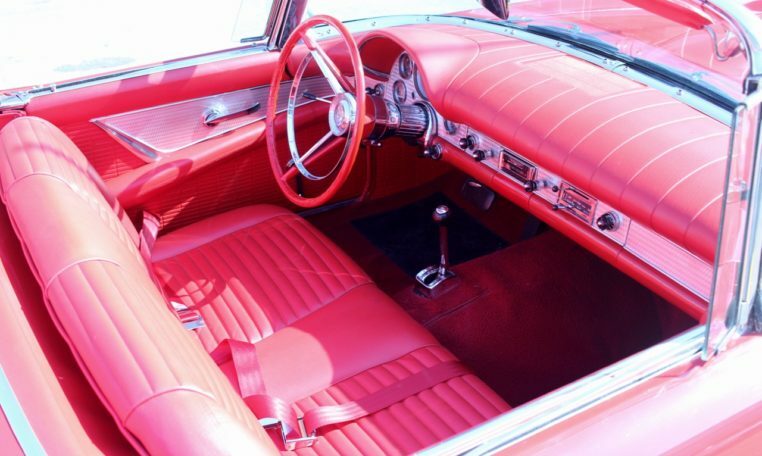 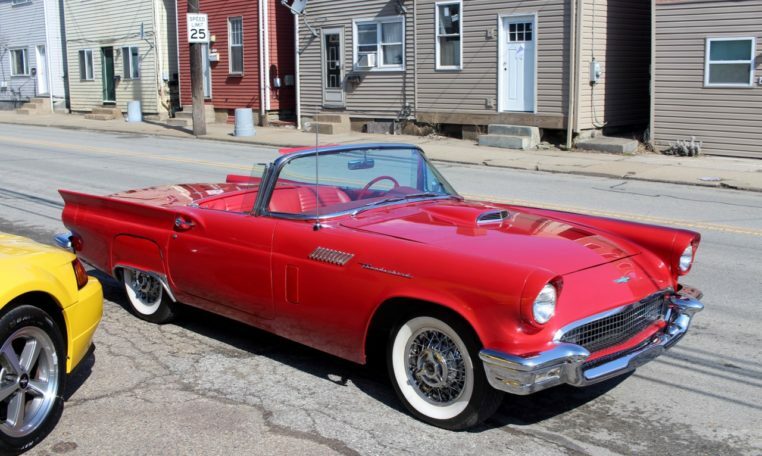 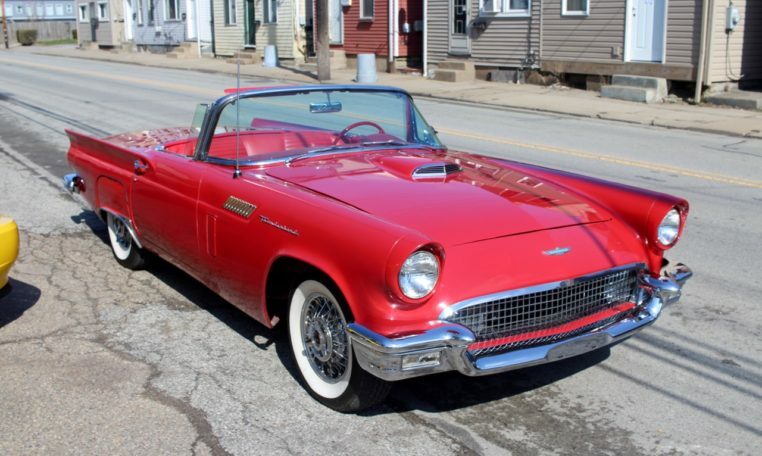 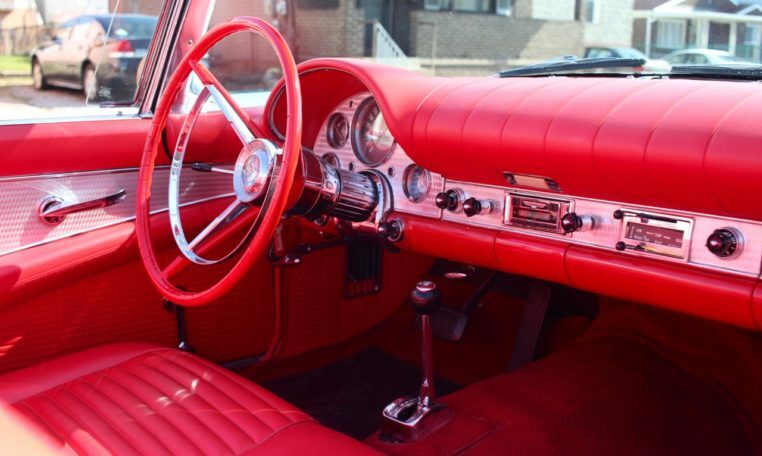 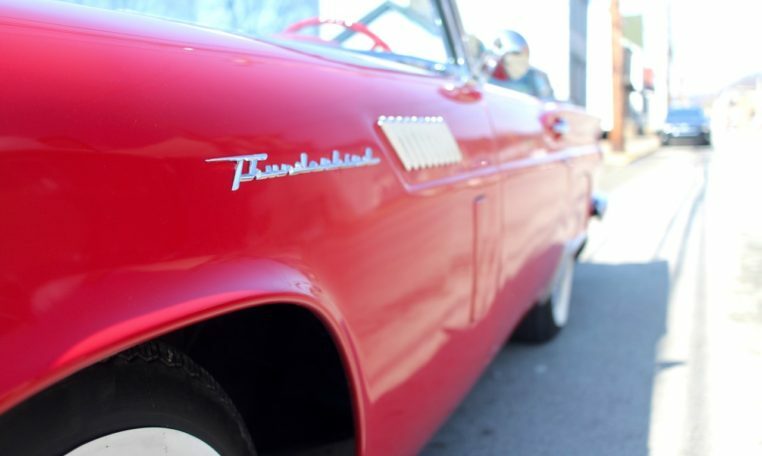 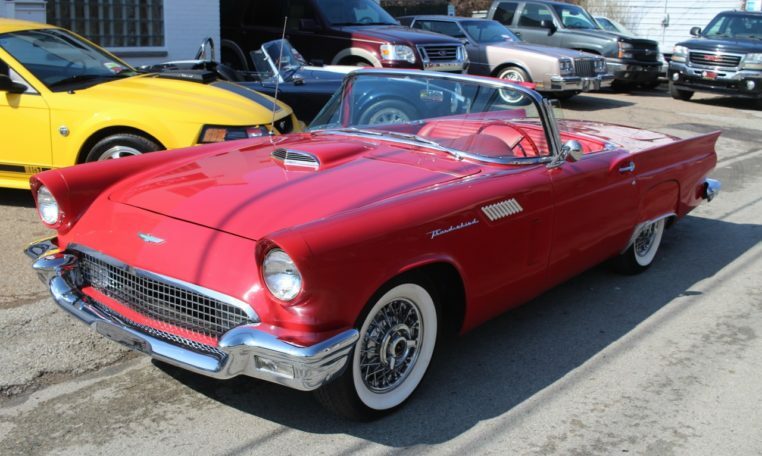 This T-Bird features a rare non-porthole top, Flame Red exterior, and red interior. 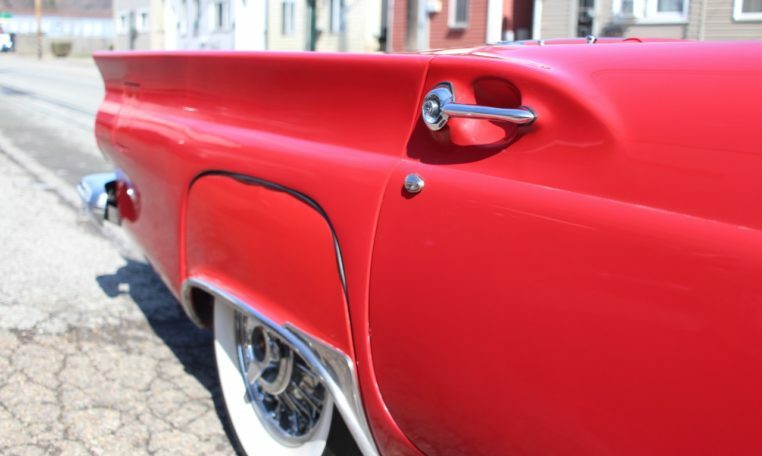 Paint, while slightly dull in color, looks to have held up well. 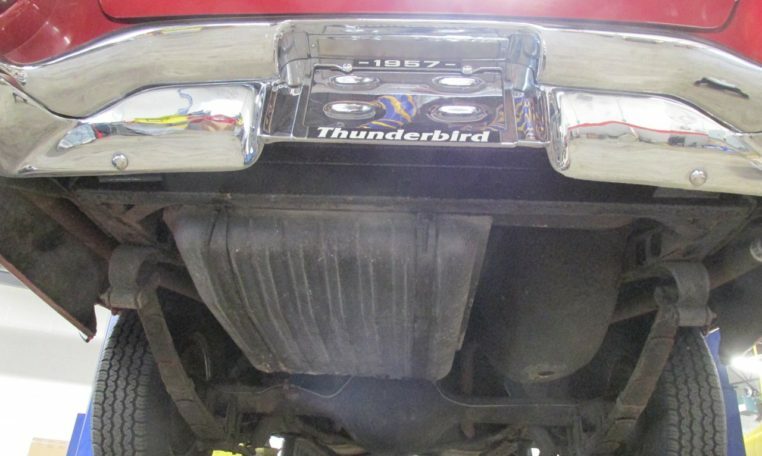 Chrome and trim look to be in very good condition as well. 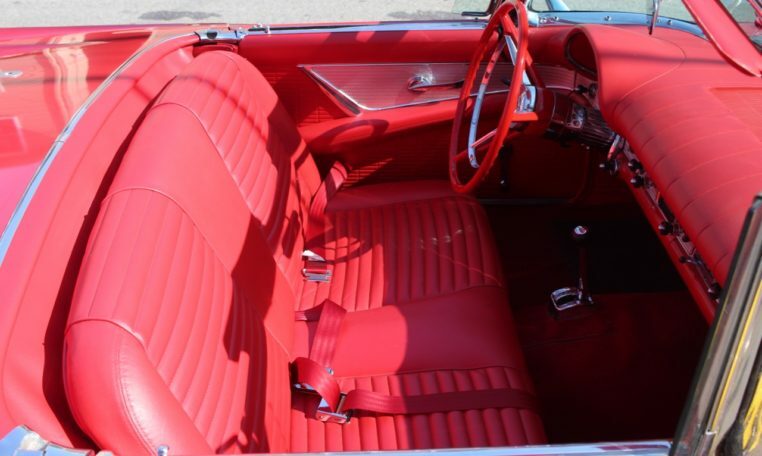 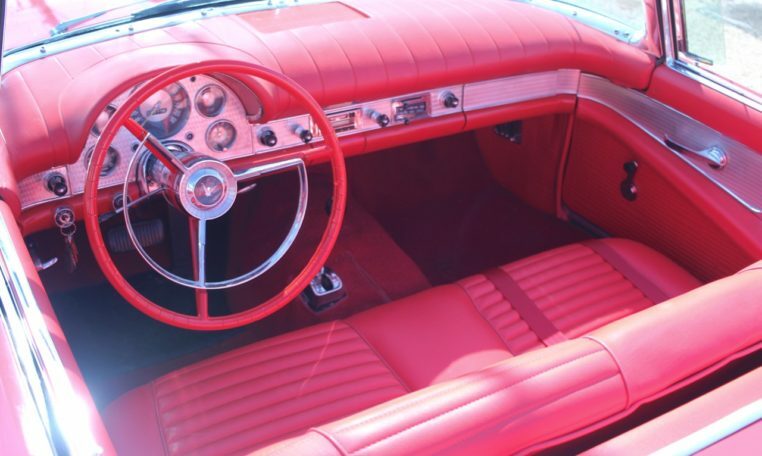 The interior features red leather with the matching red dash, both in good shape. 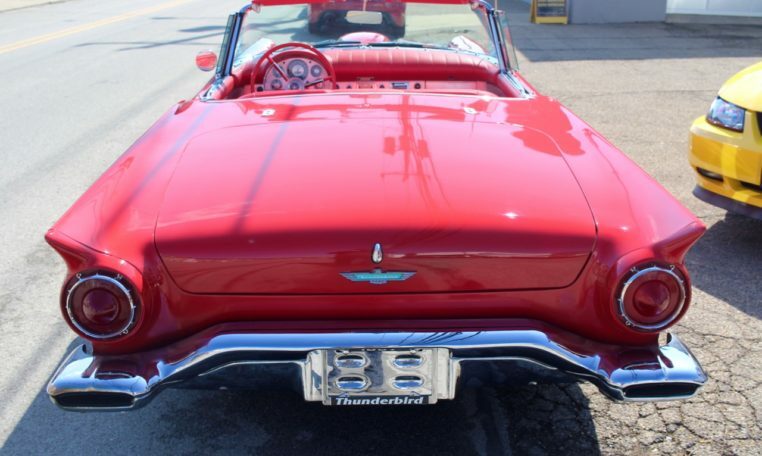 This T-Bird runs and drives well. 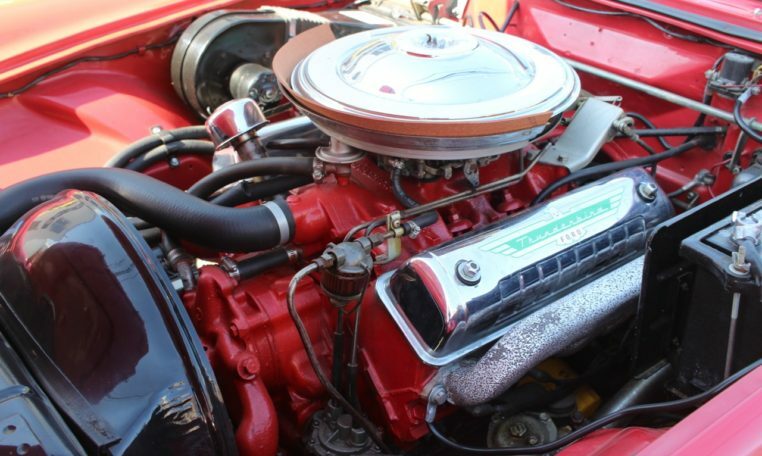 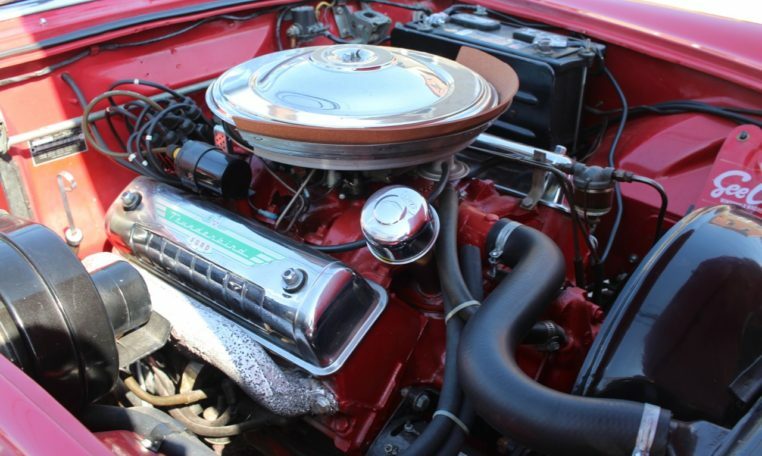 It has the 312 Y-Block V8 paired with the Ford-o-Matic automatic transmission. 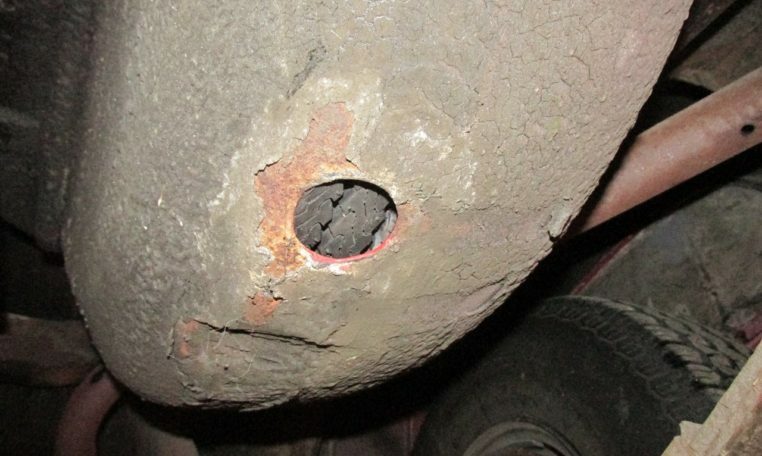 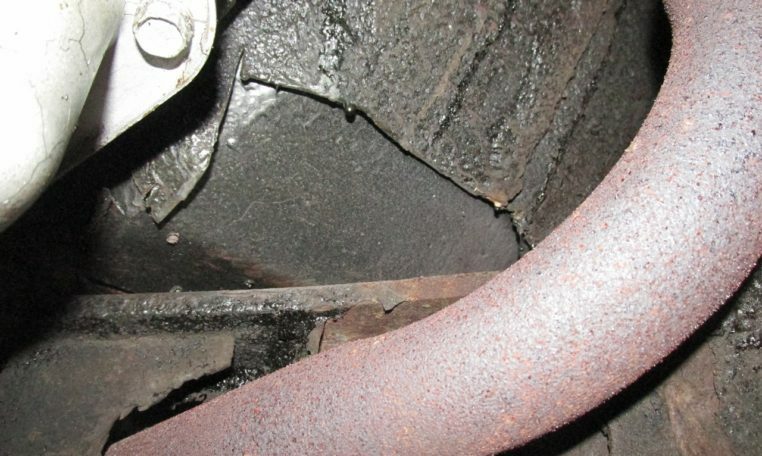 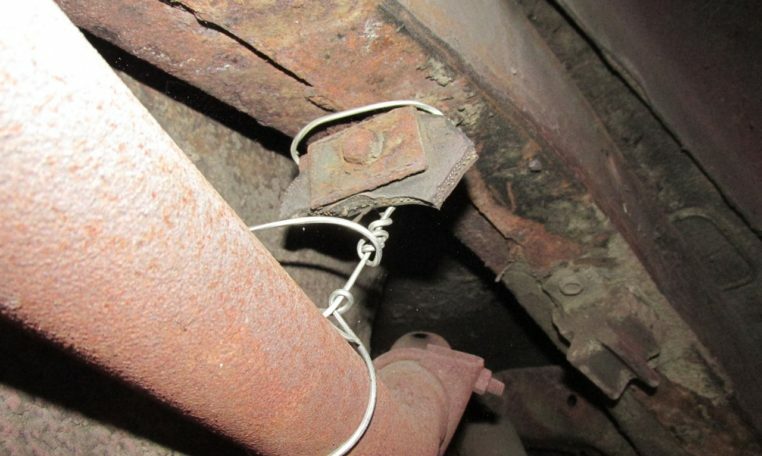 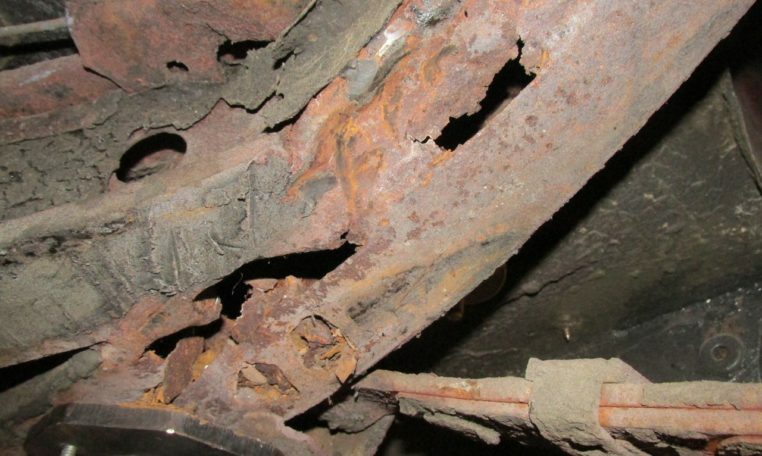 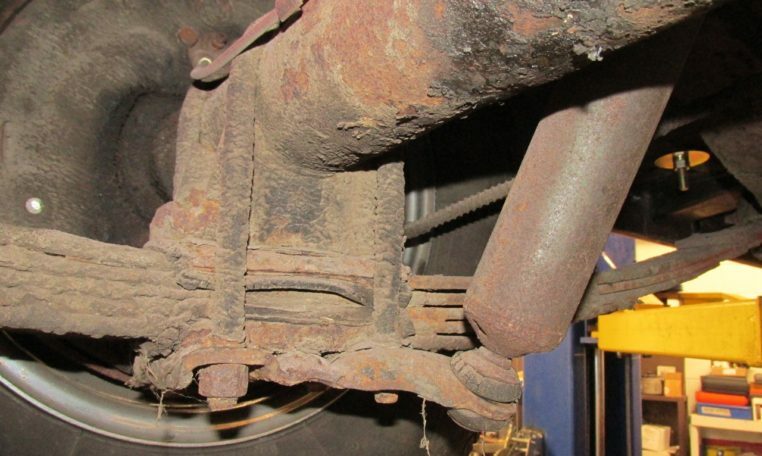 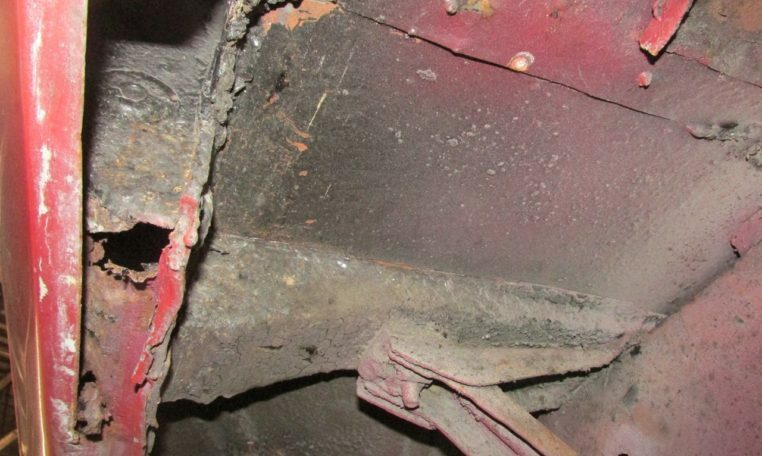 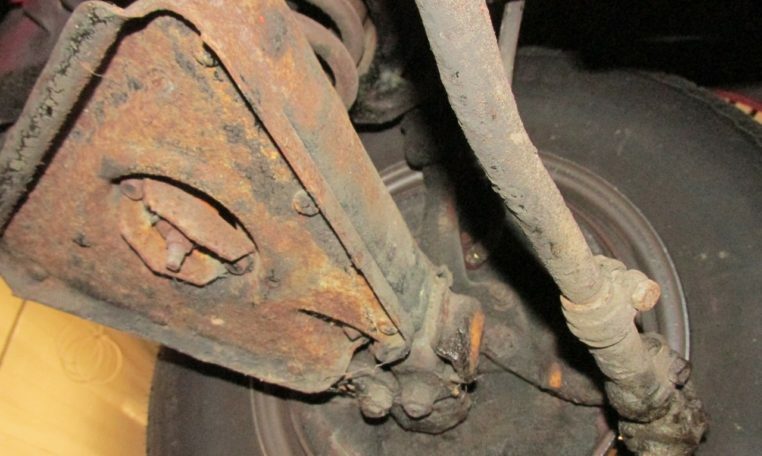 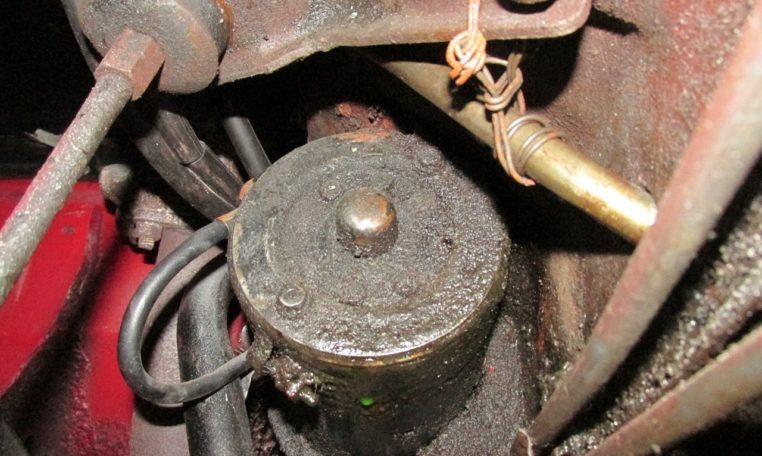 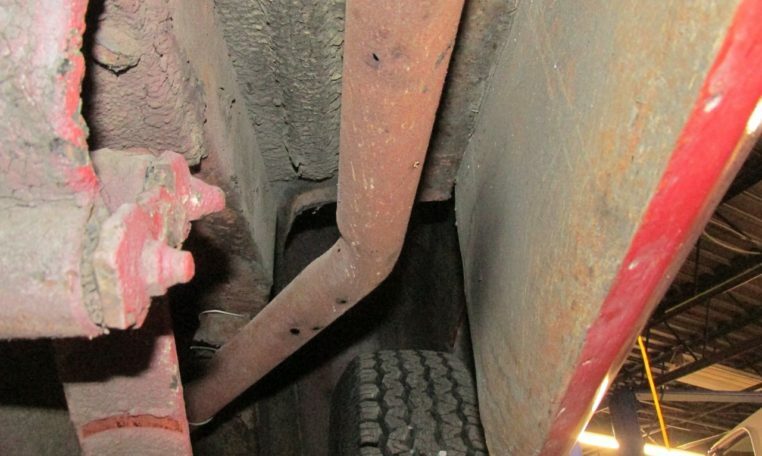 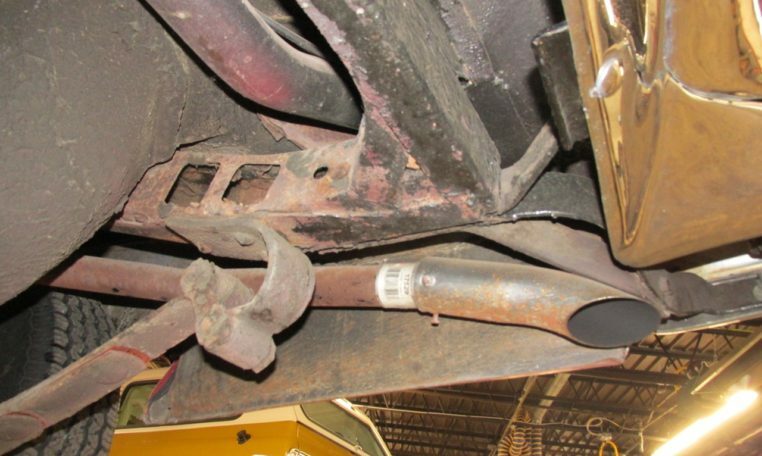 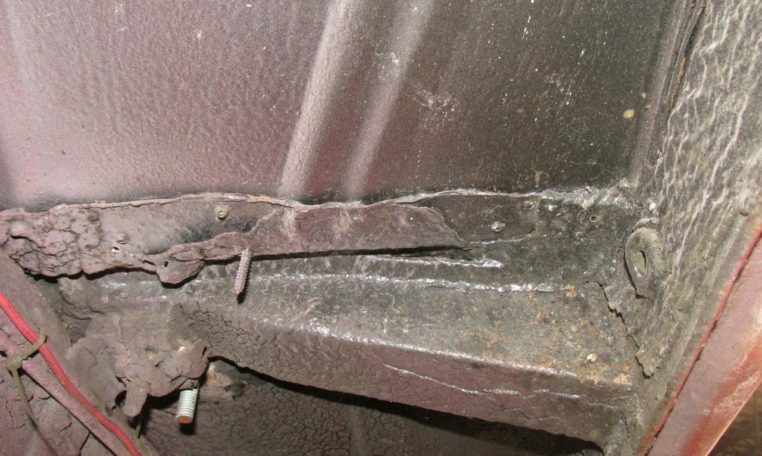 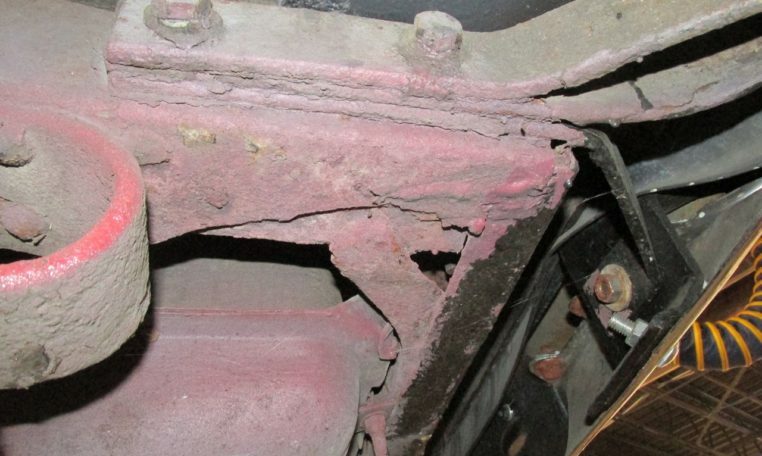 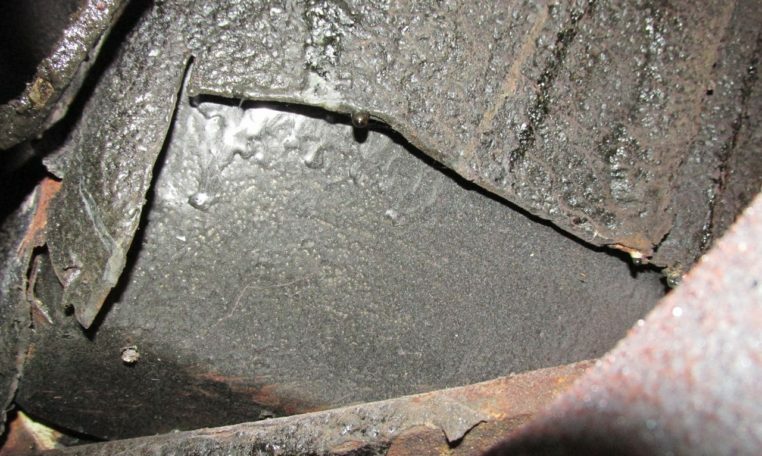 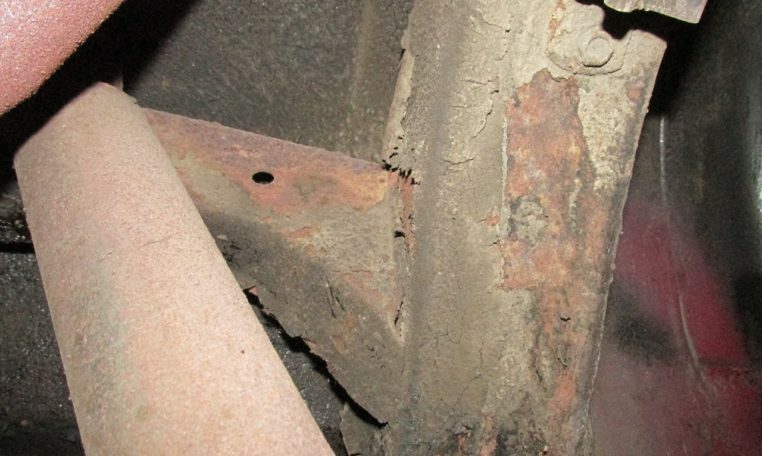 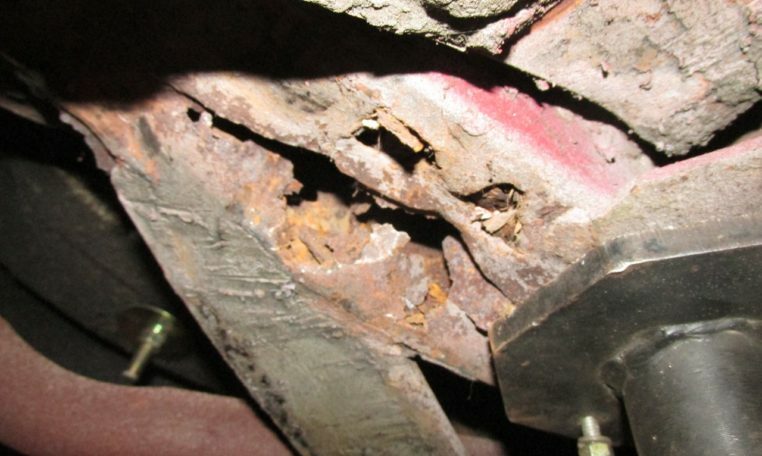 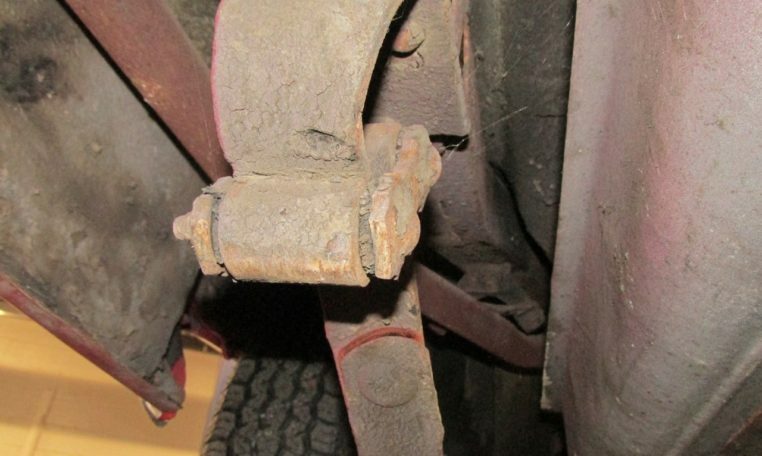 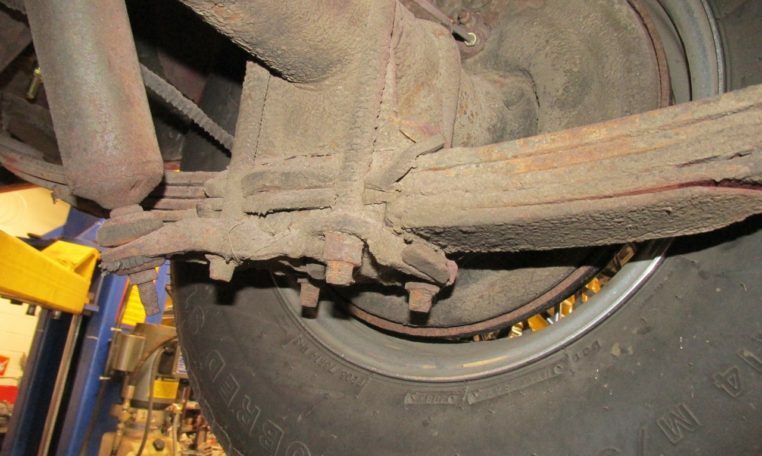 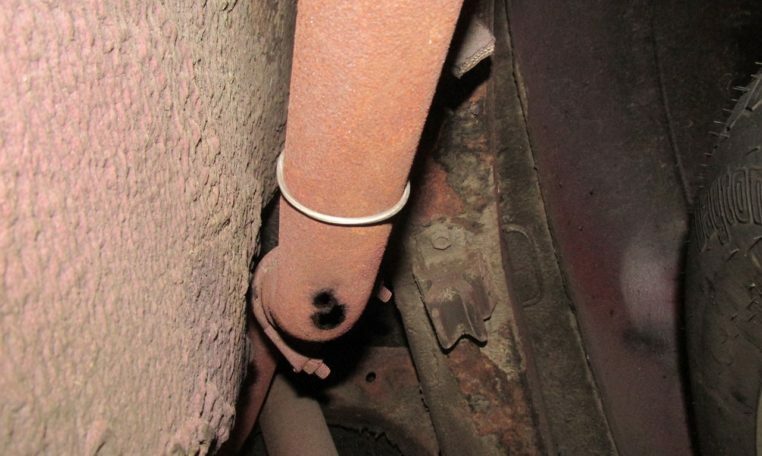 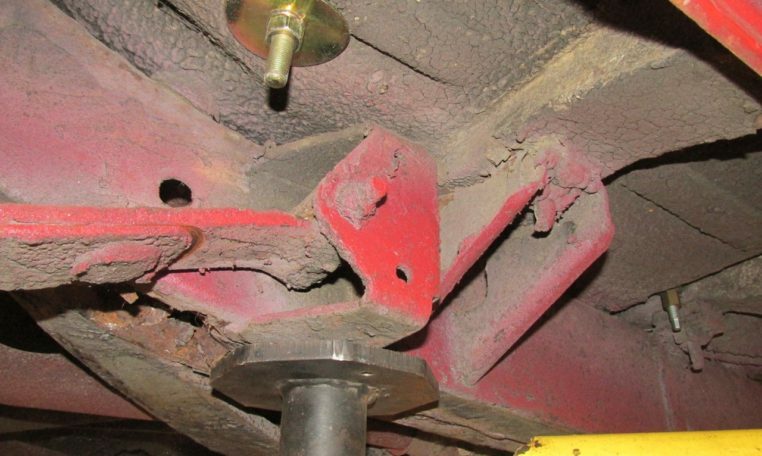 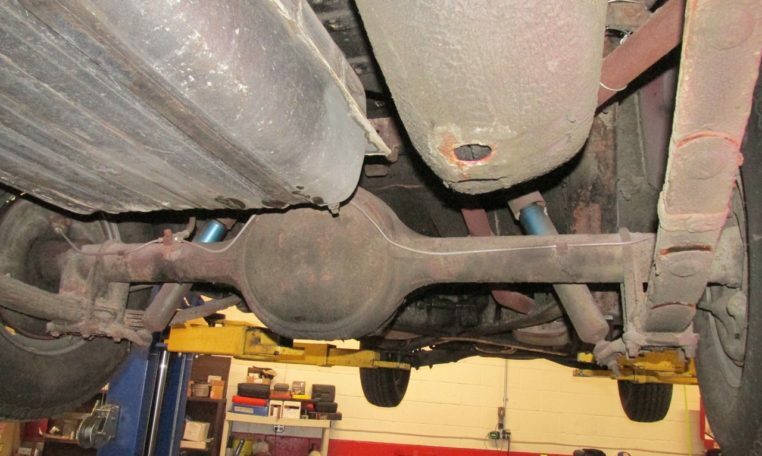 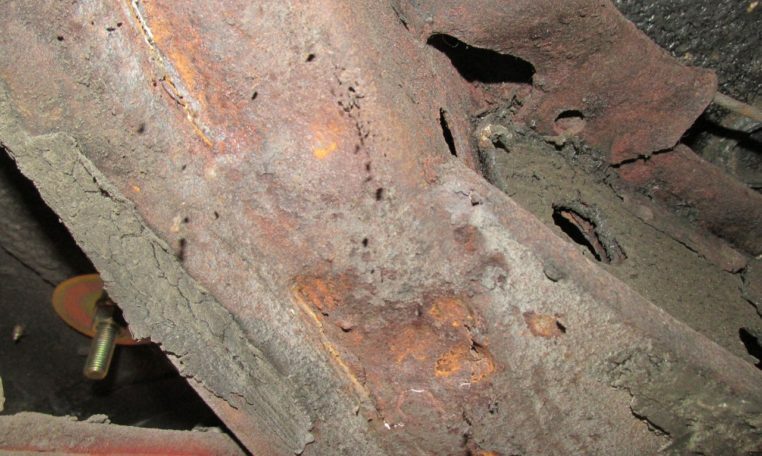 Some of the rust problems are shown in the pictures. 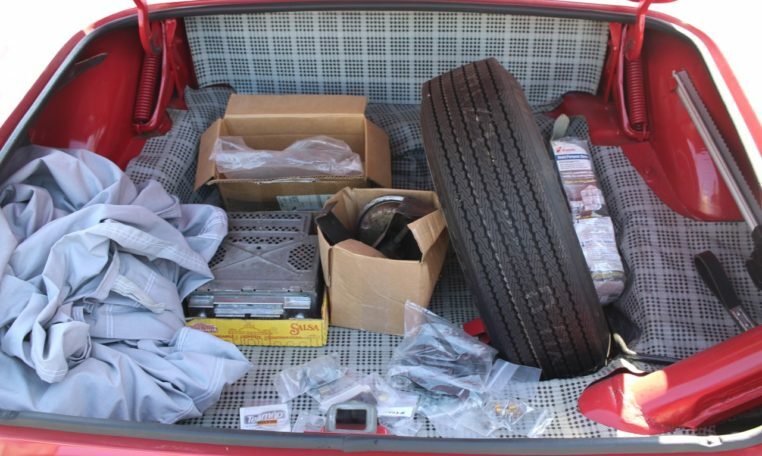 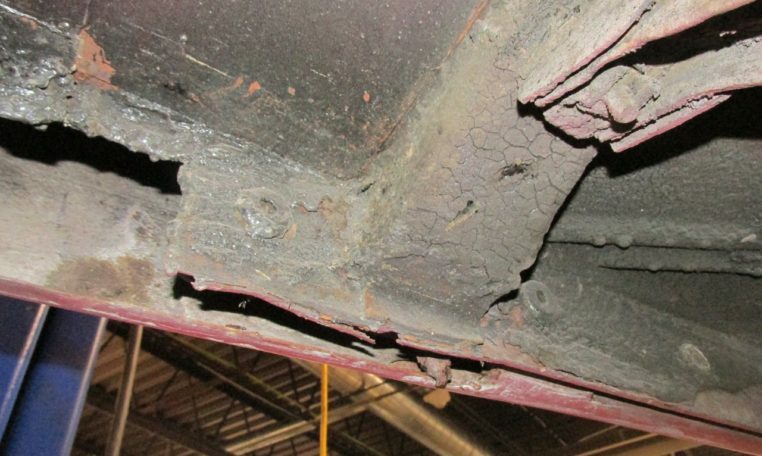 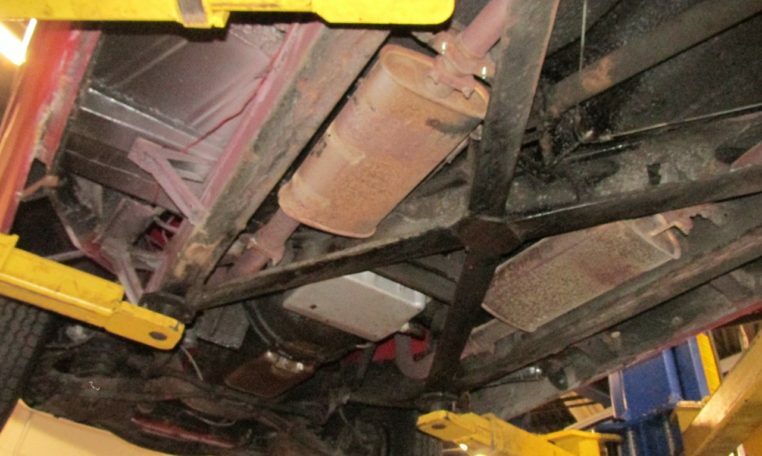 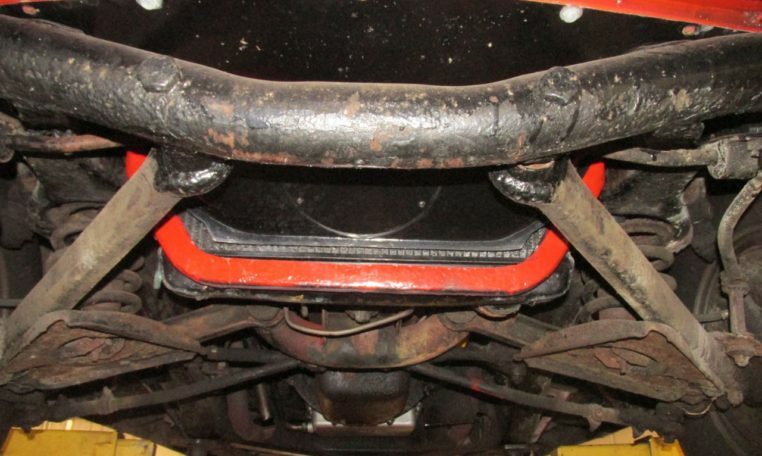 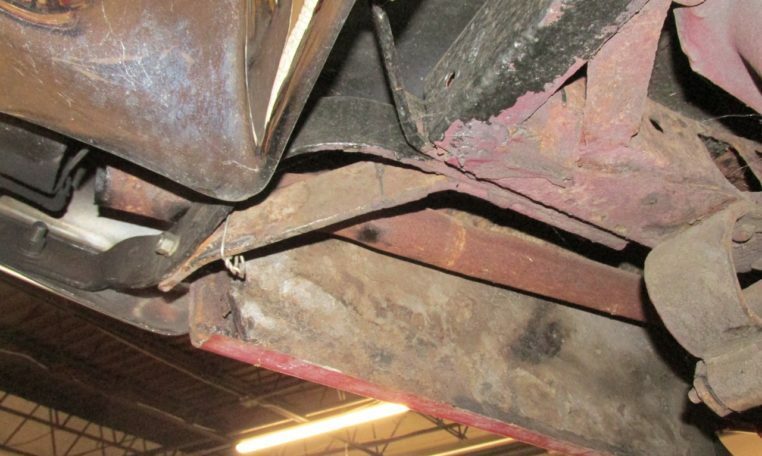 The car will mostly likely need the underside and chassis restored.